Over the next week we are going to introduce you to the judges of the 2018 NZ Body Art Showcase. First up we would like to introduce you to Kelly Zhongni Ren. Kelly has worked in beauty/fashion industry internationally for over 18 years as a makeup & styling artist and lecturer. Kelly’s magic makeup & body painting skills have lead her to win a lot of awards, and is still the only Chinese Supreme winner of New Zealand Body Art Showcase & Awards. A judge for many events in the Chinese community since 2008, Kelly now focuses on work as a makeup designer and prosthetic makeup artist in the film & television industry. Kelly is also a guest lecturer at the costume/art department of Unitec. Artist, model and volunteer registrations for the 2018 NZ Body Art Showcase are now open and can be found on the Registration page. Registrations are open till Friday 3rd August. 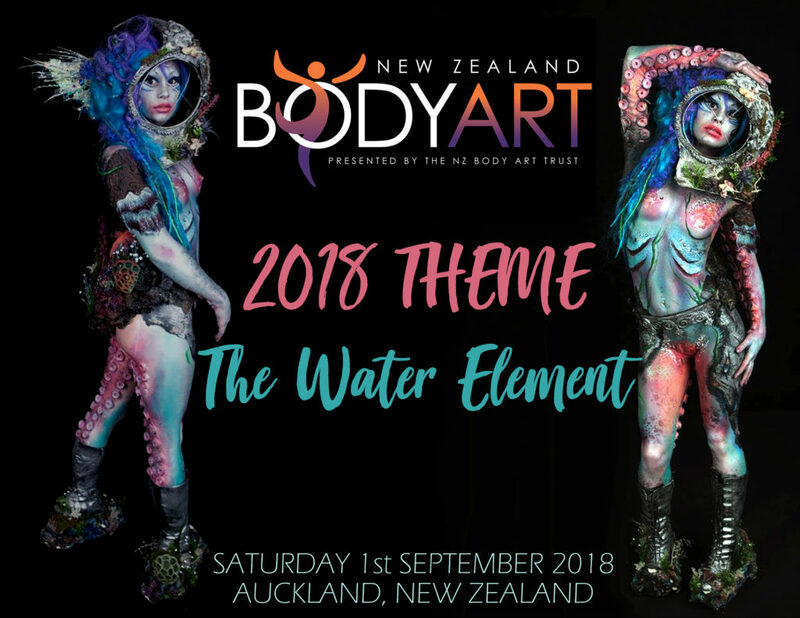 Our theme for the 2018 NZ Body Art Showcase is The Water Element. We are always amazed by the imagination & creativity in the works created by artists for our showcase and we are sure this year will be no exception. NZ Body Art Showcase & The NZ Body Art Trust are excited to announce that the 2018 NZ Body Art Showcase will be held on Saturday 1st September 2018 in Auckland, NZ.